Who could forget the Gordon Ramsay vs Singapore Hawker Heroes Challenge in 2013? It helped to give this local staple food a big boost in publicity. 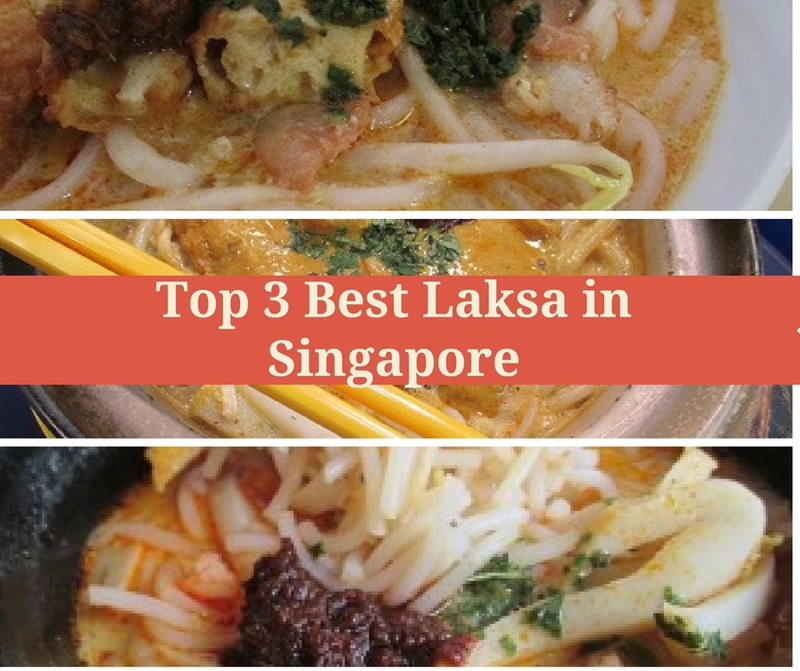 The challenge from the master chef renewed the nation’s interest in Laksa, and we of course want to help you pick out the best of the best, to bring you our Top 3 favourite Laksa stalls in Singapore! Different from Penang Laksa, which uses flaked ikan kembong or ikan parang with assam and fresh vegetable / fruit as the main ingredients, Singaporean-style Laksa relies heavily on coconut milk, evaporated milk, dried shrimp and chili to create the rich, fragrant concoction it’s known for. Claypot Laksa which is cooked in a – you guessed it – claypot is also one of the ways Laksa is served here in Singapore. 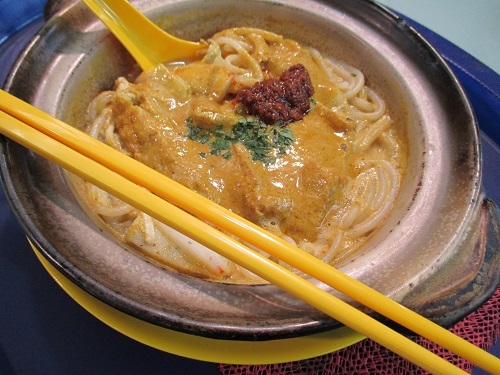 So where should you go for best Laksa in Singapore? 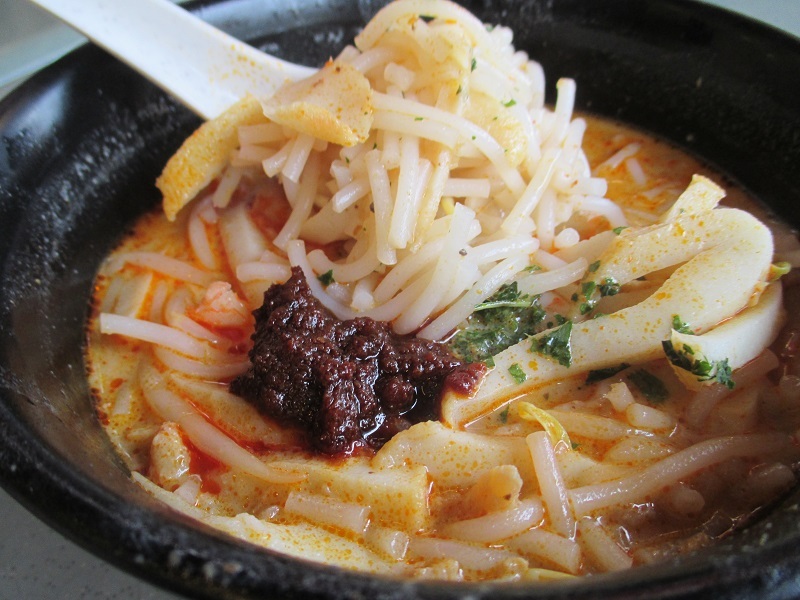 Ieatandeat recommends the following three stalls, which we think serves some of the best Laksa in Singapore. Gordon Ramsay couldn’t beat this stall in the Hawker Heroes Challenge. What’s hidden in this aromatic gravy is truly the winning formula for 328 Katong Laksa. The gravy has a wholesome homemade taste, putting their own unique spin on the dish; richness is nicely balanced out by the chilli, coconut milk and evaporated milk, leaving a tinge of mild spiciness. The dried shrimp at the bottom of the gravy gives a pleasant mouthfeel – something to chew on as you slurp the gravy down to its very last drop. The glossy thick gravy is tangy without being cloying, we like the fragrance which is well permeated into each strand of the noodle which was nicely soft yet not overcooked or mushy. The overall flavour is subtle – and as we found out from the Hawker Heroes Challenge, inimitable. Eating this bowl of simple-looking noodles, we understand how 328 Katong Laksa cleverly sets themselves apart from other renowned stalls. Their fame is not hype at all, and the flavourful and scrumptious taste of their masterful rendition of this dish lives up to its reputation. The claypot does serve a purpose, as it helps to retain the flavour and temperature of the Laksa and allows a better amalgamation of the gravy with the noodles, helping each strand of rice noodle to soak up the gravy nicely. The bowl of Laksa was topped with shredded chicken meat, fish cake, prawns and cockles. If you have tried the famous Katong 328 Laksa or Amy’s Laksa in Bedok, the claypot Laksa here is a lot more rich and smooth with the enhancement of the heavy coconut-based gravy. It’s a pretty sinful delicacy and may not be meant for those who are health-conscious, but the flavourful bowl of noodle was simply tantalising. Sometimes we have to forget about the high cholesterol (and forgive our lack of restraint!) and just let the taste buds enjoy a little. How good is the Laksa compared to Katong 328 laksa? Well, taste is subjective to the individual; what we can say for certain is Amy Laksa has a rich gravy enhanced with coconut milk but is still less heavy than Katong 328 Laksa, making it a well-balanced creamy delight. So it all depends on just how rich you prefer your Laksa. The tangy and nice fragrance that emanated from the secret ingredients was simply scrumptious, slurping up the smooth noodles and the savoury gravy with its generous servings of tau pok (fried bean curd), fish cake, cockles and bean sprouts was just extraordinary, Amy Laksa clearly defined this classic bowl of delicacy. Some laksa can be cloying especially those with exceptional thick gravy. 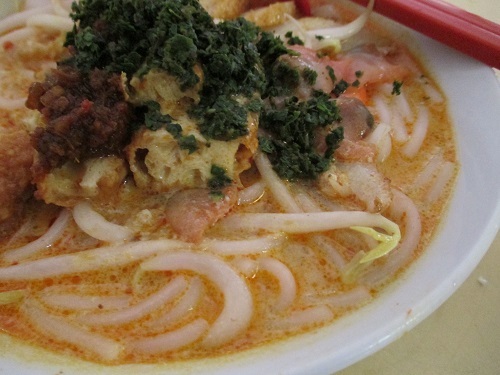 We yet to try the original Sungei Road Laksa. There are 3 stalls in Kovan hawker centre. All the 3 stalls are pretty good and laksa is definitely better than Sungei Rd one. Thanks for the info, will try one of the days.